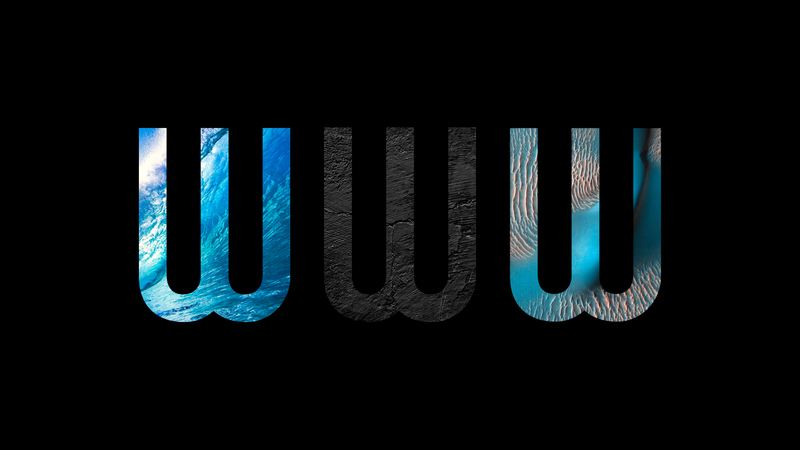 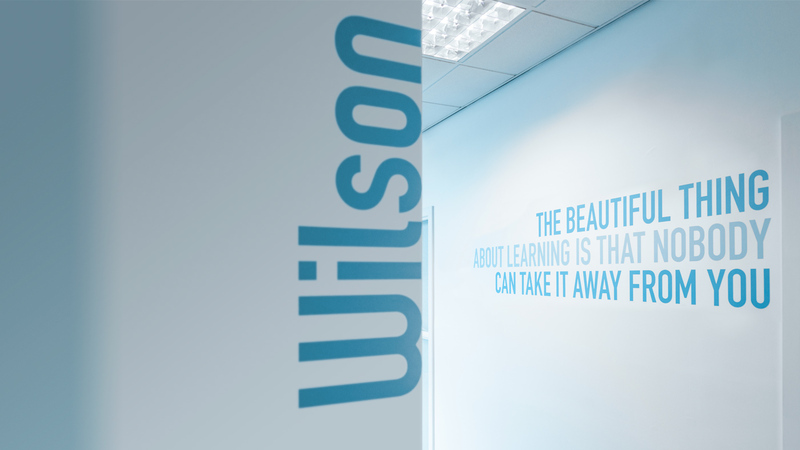 Logo design and environmental branding for education. 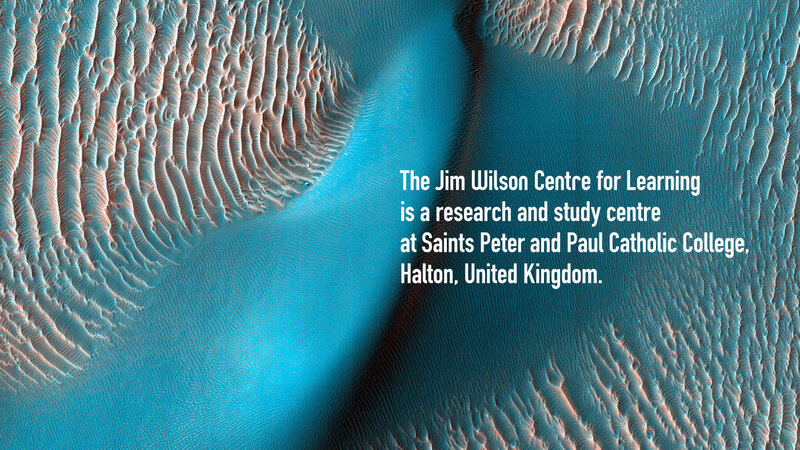 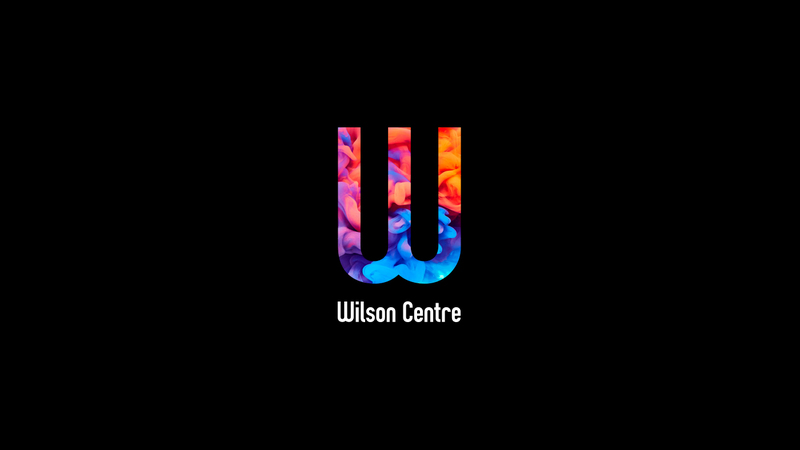 The Jim Wilson Centre for Learning is a new research and study centre at Saints Peter and Paul Catholic College in Halton, United Kingdom. 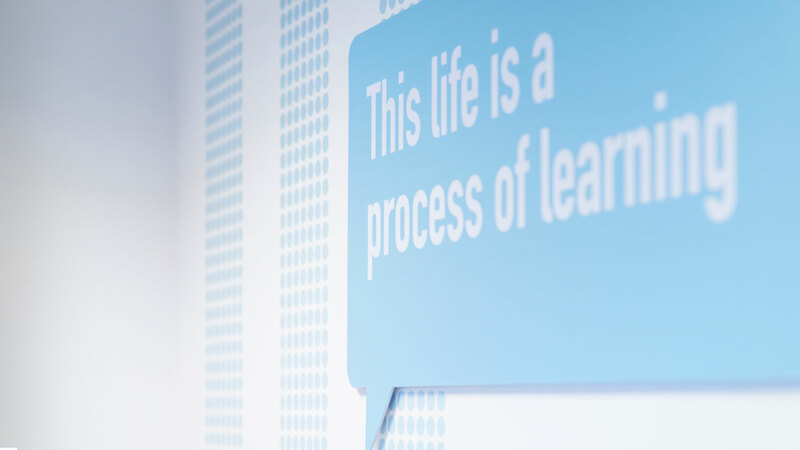 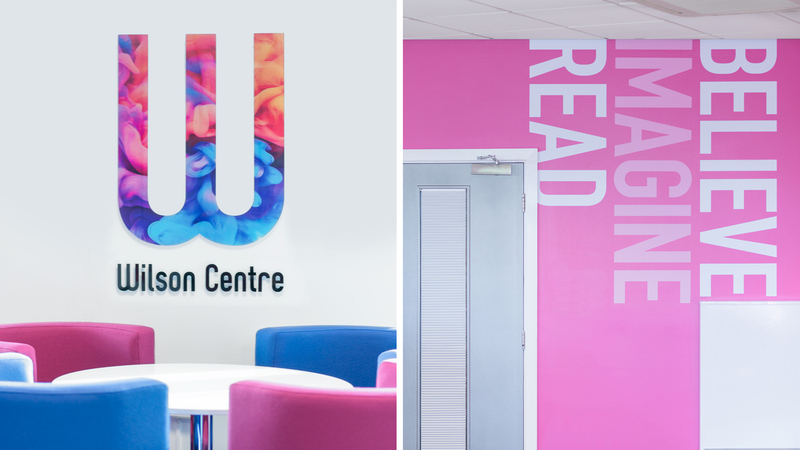 The centre provides students access to valuable research and information within a vibrant, inspiring and purposeful space designed to enrich learning and promote independence, confidence and achievement. 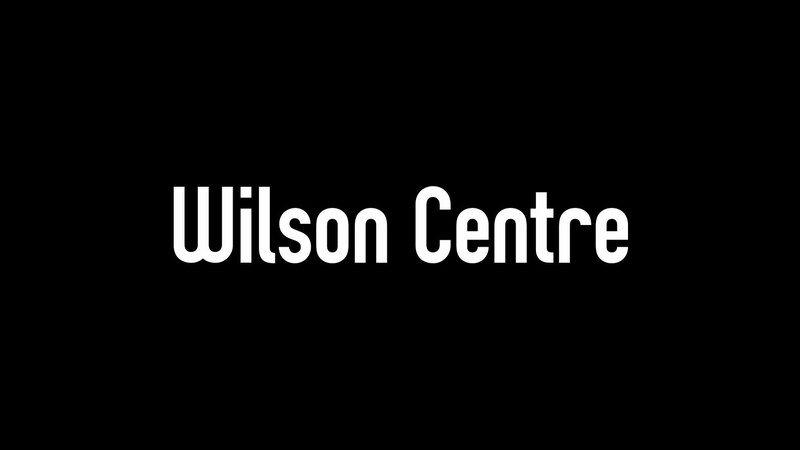 Named after the College’s Chair of Governors Jim Wilson, the ‘Wilson Centre’ will also be a satellite hub for Halton Borough Library. 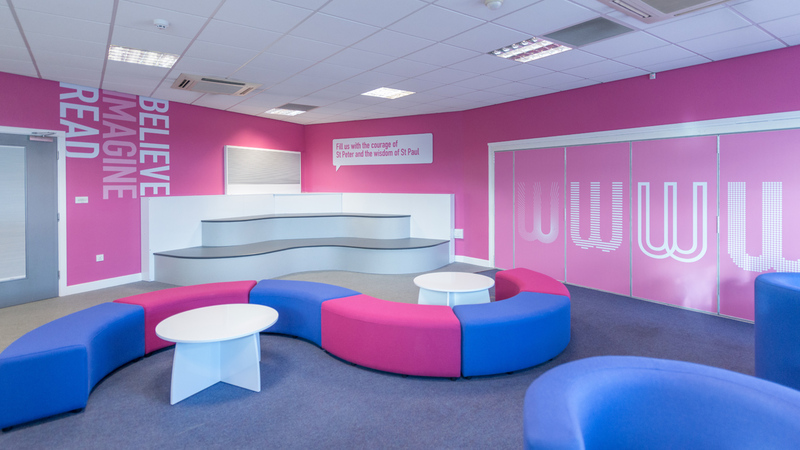 All students and staff have been made members of the Library and will have access to their entire library and online catalogue. 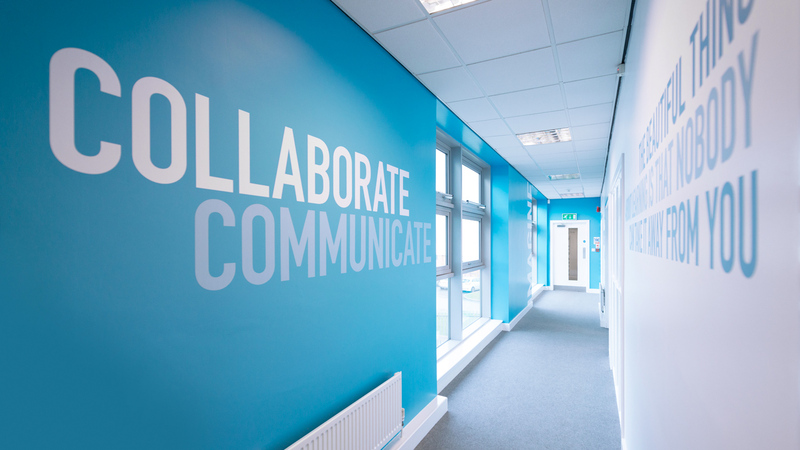 The College is the first and only school in the borough to have this exciting arrangement. 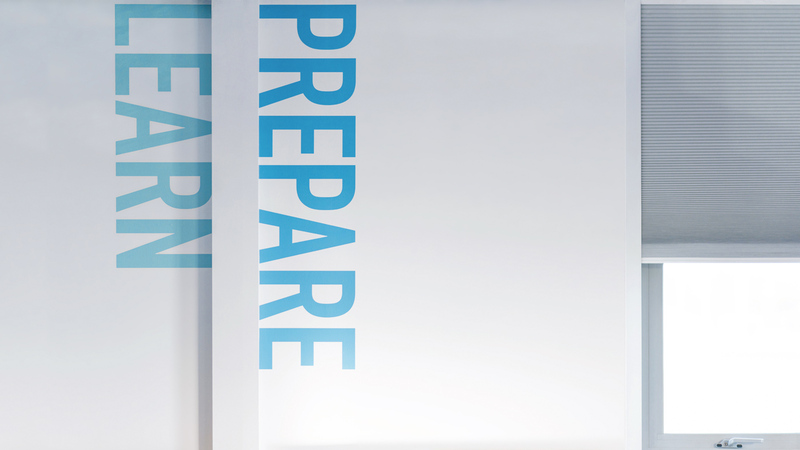 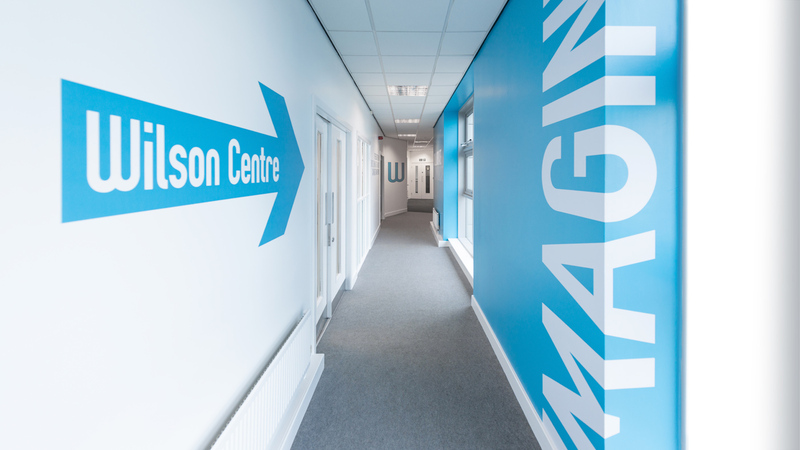 The brief was simple: create a brand identity and environmental branding for education, to enhanced the philosophy of the Centre and which could be used as environmental branding throughout the building. 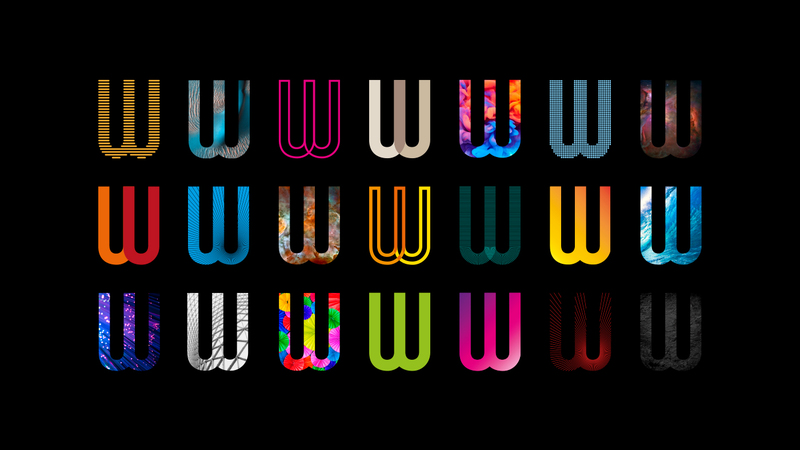 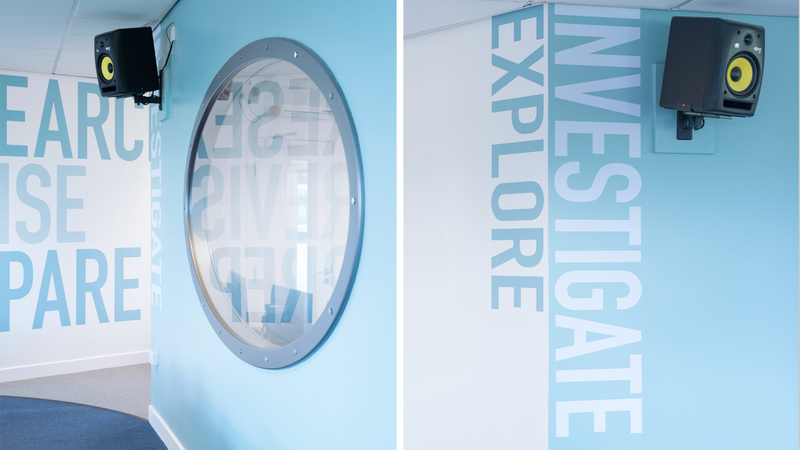 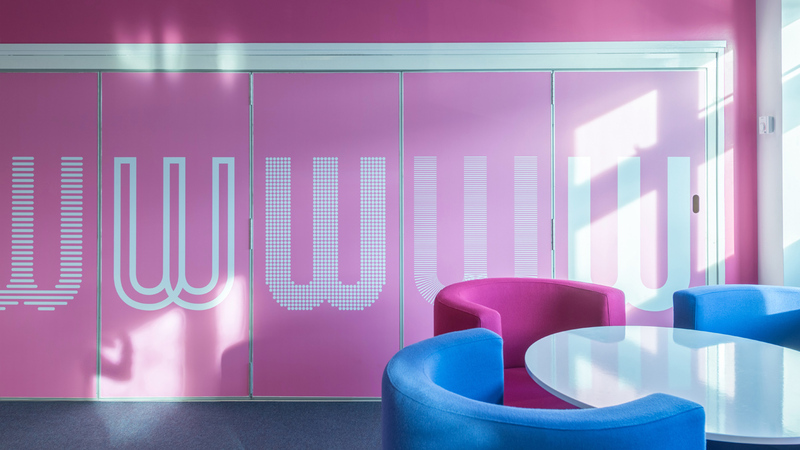 The adaptable ‘W’ marque utilises an array of textures and images to reflect the multitude of study subjects and resources available in the Wilson Centre. 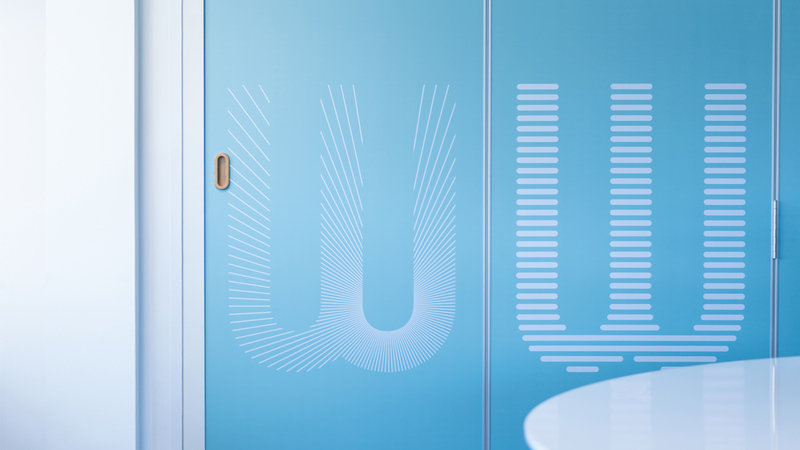 The logotype is a customised, modern, condensed face which is perfectly suited to environmental branding with messages strategically situated throughout the building. 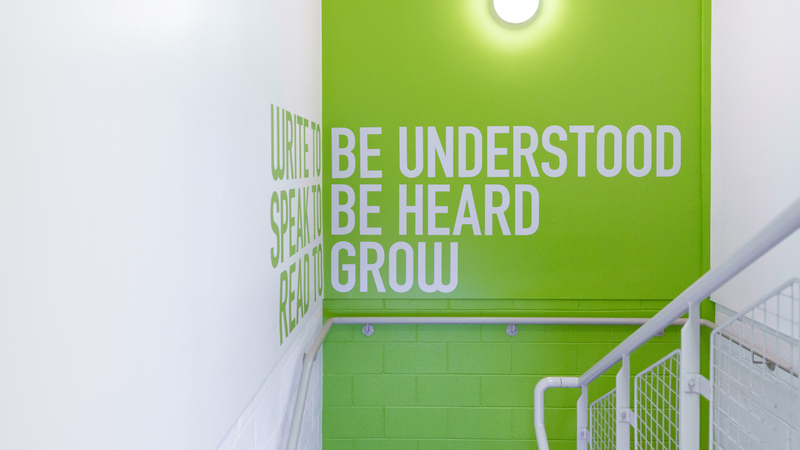 Each area of the Centre carries it’s own colour scheme to help visitors identify the spaces with ease, all knitted together using consistent typographic styling. 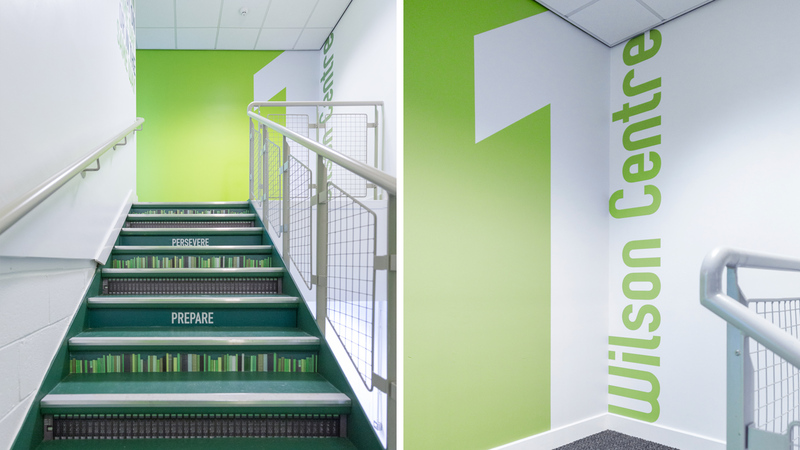 Positive messaging is used to inspire and encourage the students whilst adding a modern aesthetic to all areas of the building. 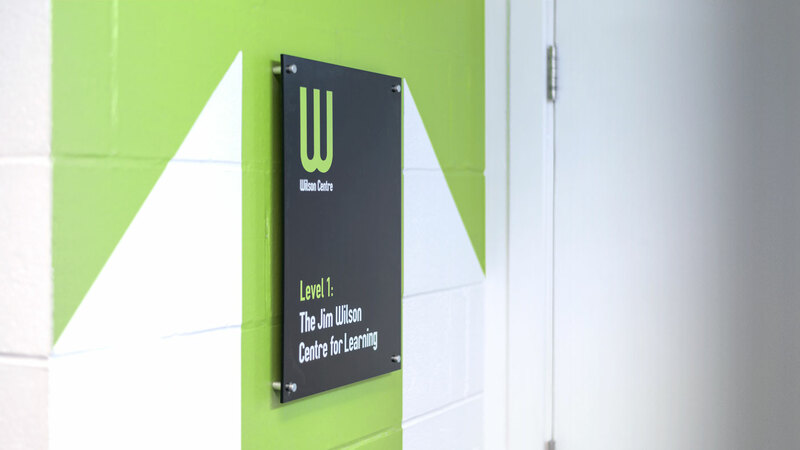 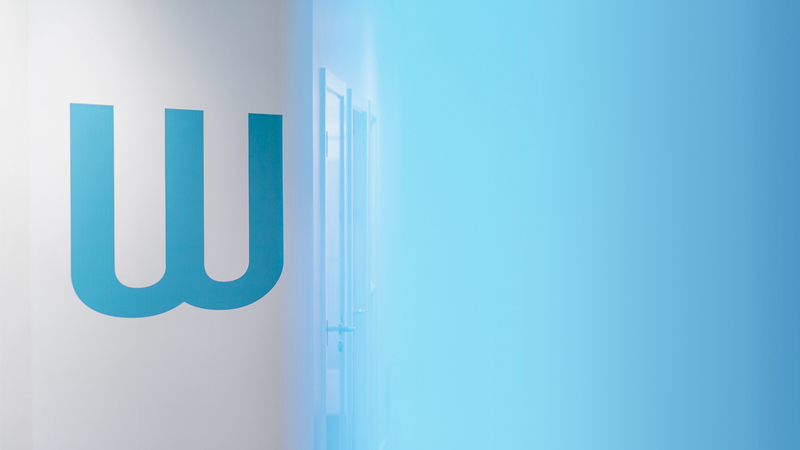 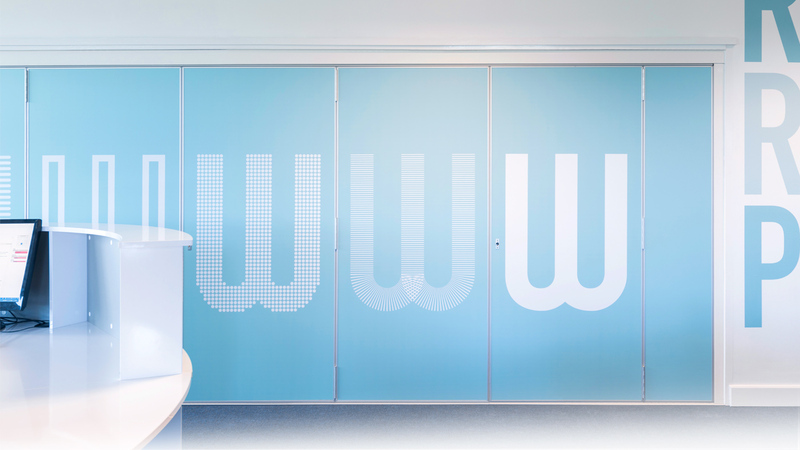 The main corridor includes an anamorphic ‘W’ which appears in it’s correct form on entering the student access door, then distorting as approached.